James H Donoian has wide-ranging experience in protecting and enforcing IP rights. He has counselled clients for over 25 years on global IP and brand management issues, including bet-the-company cases, US and international enforcement and litigation and global brand strategies. His focus is furthering clients’ business objectives by protecting and maximising their valuable IP assets, including trademarks, trade dress, copyright, advertising and publicity rights. 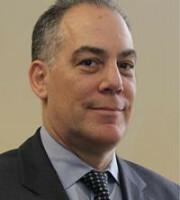 Mr Donoian has fought for and successfully defended clients in a wide range of disputes in more than 25 different US courts, handling expedited injunction hearings through trials. Mr Donoian guides companies in proactively building comprehensive IP protection around new products – covering trademarks, trade dress, copyright, design patents and utility patents – in advance of product launches, to restrict anticipated copying by competitors. He leverages and enforces those rights against others, whether they are competitors, copycats, licensees, distributors or counterfeiters in the United States and abroad. Mr Donoian is also responsible for global anti-counterfeiting enforcement programmes, obtaining seizure orders, asset restraints and other novel forms of equitable relief against US and foreign companies. These efforts are often concurrent with criminal actions in the United States and civil or criminal actions in foreign jurisdictions. Mr Donoian works with clients in various industries, including haute couture design, apparel, jewellery, luxury brand goods, toys, sports and entertainment, food and nutritional products, pharmaceuticals and medical devices, advertising and marketing as well as other industrial and commercial markets. His primary focus is the fashion design, luxury and apparel industries. He has featured on panels and has authored articles relating to fashion law. He is also a leader of McCarter & English LLP’s design, fashion and luxury group.